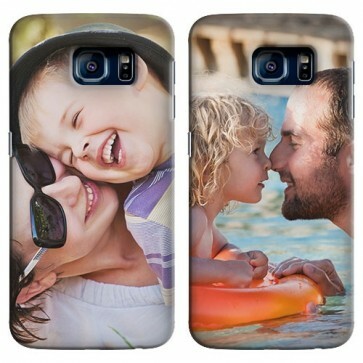 The Samsung Galaxy S6 Edge personalised covers are perfect for travel or sports, with an additional silicone reinforcement. The new shock-absorbing technology will give you an extra security when your Galaxy S6 suffers from blows. You won't have to worry about scratches and bumps anymore. In addition, the phone case will not affect the functionality of your smartphone as it has holes for the camera and device buttons.